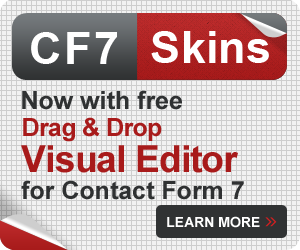 We used Firebug to produce the following diagram which shows the overall structure of the default CF7 form we are using in this article. 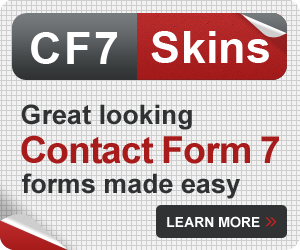 The default Contact Form 7 form uses paragraph elements (<p>Paragraph Content</p>) as the basis for the form. While this is probably the simpliest way to create a form, it has a number of shortcomings. 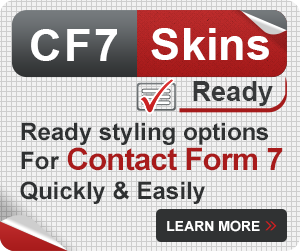 See Why we use Fieldset, Legend & Lists in CF7 Skins and Making your form easy to read by using Fieldsets ). 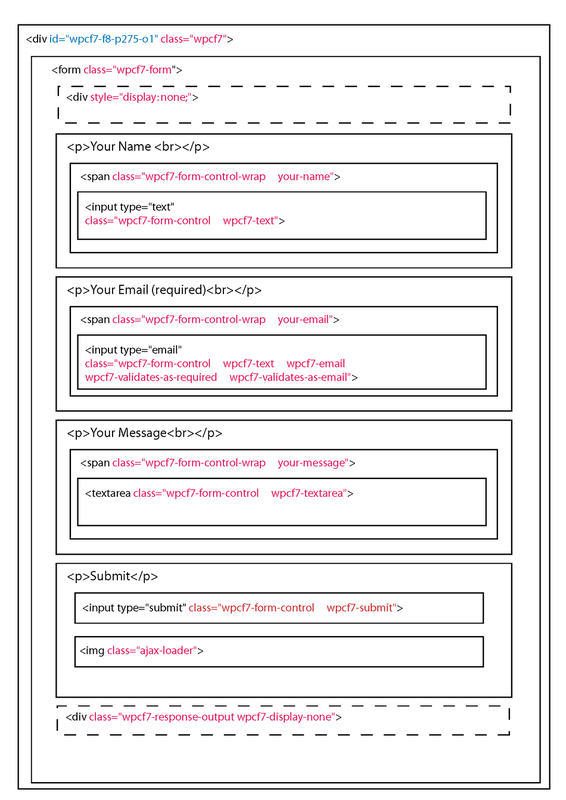 With experience, using Firebug or Chrome Dev Tools should give you all the information you need to change the style of yor CF7 forms quickly and easily, but it may definately help you initially to produce a hand drawn paper sketch similar to this diagram.